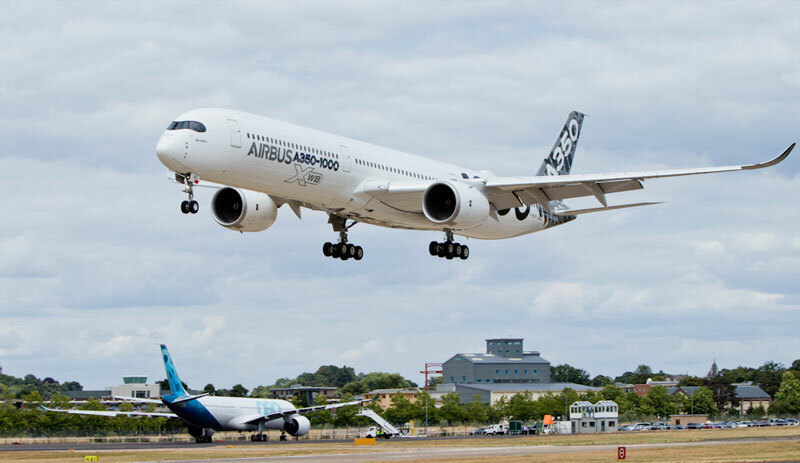 AMS had plenty of positive reasons for attending the Farnborough Airshow 2018, with new doors to business opportunities being opened, plenty to see, and a surprise that may see us entering aerospace! At the end of 2017 AMS conducted an in-depth review of our marketing activity. We’ve been keen to see if the direction we are moving in is aligned with aviation trends, so our day began at Aviation Week’s hospitality suite for their marketing briefing session. Some useful tips were picked up, together with reassurance from their team that we are moving in the right direction for our business. At the start of 2018 AMS started building a new business relationship with the UK’s Department of International Trade. We now have a dedicated International Trade Adviser and that relationship has already helped us secure introductions and funding for trade trips to regions we are keen to expand into. The DIT South-East region’s stand was in Hall 3, where we held pre-scheduled meetings with trade delegates from specific regions. Our visit also provided a timely opportunity to discuss new proposals with our International Trade Adviser, listen to presentations from some of the DIT’s overseas advisers, and discuss new products to gauge reaction. 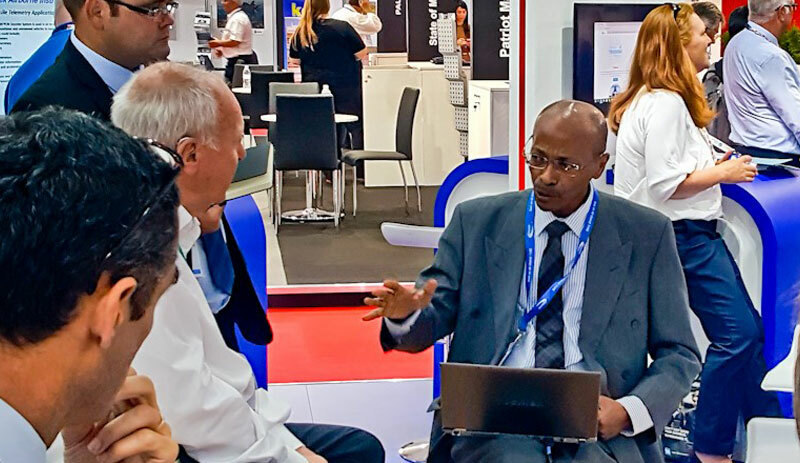 The main Department of International Trade stand was located in Hall 1, now the permanent location for Farnborough International’s new Exhibition & Conference Centre. This magnificent new building is the 3rd largest exhibition space in the south of England and attracted a lot of businesses across the aviation and aerospace sectors. Much of our afternoon was spent here meeting DIT advisers from countries that have shown specific interest in the multi-lingual pages on our website. Our rewarding time with the DIT was rounded off with a late afternoon networking and drinks reception. In between the business and networking side of our visit, we had time to look around the rest of the exhibition. 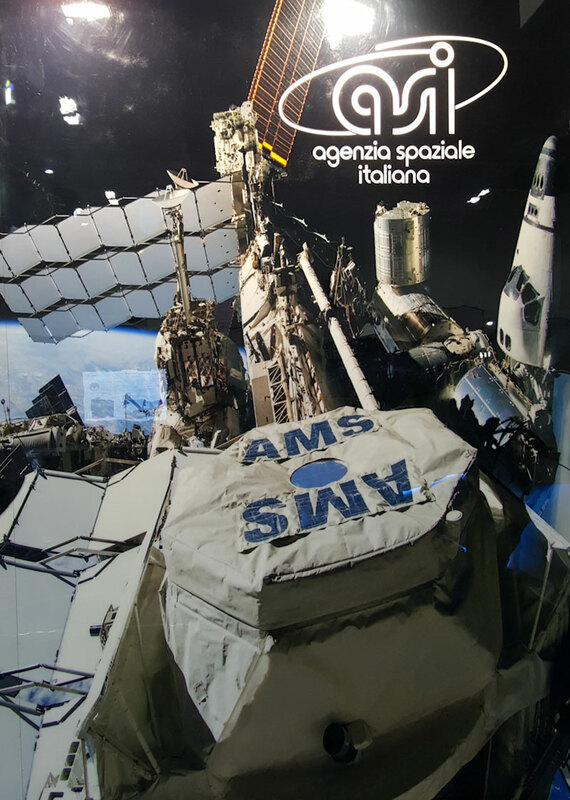 One exhibitor certainly grabbed our attention – the Italian Space Agency’s stand. We know our expansion plans are ambitious but were not aware our company has gone interstellar. So, it came as something of a surprise to see AMS has a presence in space! 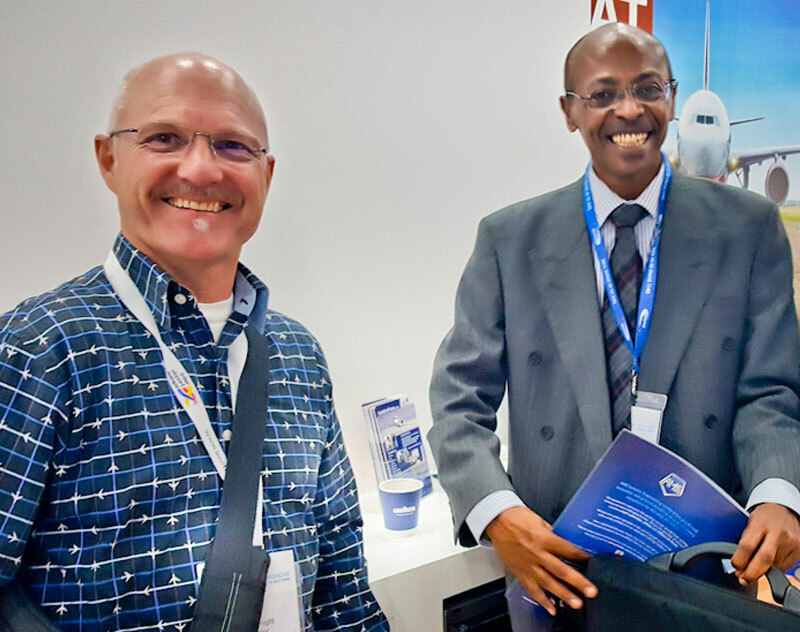 Some of the themes that featured at Farnborough 2018 were the ongoing expansion of airports and airlines across the globe, the introduction of new routes, fleet expansion, how leasing is affecting aviation and suppliers, and the risks that expansion brings. If your airport does not currently own aircraft recovery equipment, and especially if your airport is expanding (or plans to expand), now is the time to include aircraft recovery as part of your risk assessment. Are you prepared for a scenario where your runway or taxiway is taken out of commission for hours or days, should an aircraft incident occur? Are you prepared to take the risk of waiting until an incident occurs before you address the need for having aircraft recovery equipment on site, to get your airport up and running again? If you would like to know more about the risks to airports in different scenarios or are interested in purchasing equipment and training to deal with aircraft recovery situations, please get in touch by calling us on +44 (0)20 3289 9320, or contact us using the form on our website.